The Crystal trading panel is designed for fast and comfortable trading in the financial markets. When creating the panel, the goal was to enter the trade volume as quickly and easily as possible, without the need to open anything or click anything, the ability to quickly close all open positions, display the necessary information on open positions, while taking up as little chart space as possible. This panel fully meets all these requirements! Entering the trade volume using numeric keypad – The Ea features a function that intercepts pressing of numeric keys. How does this work? For example, you have a volume of 0.50 and need 0.75. In this case, simply type 75 on the numeric pad. This is very convenient. Watch the video demonstration to better understand how it works. 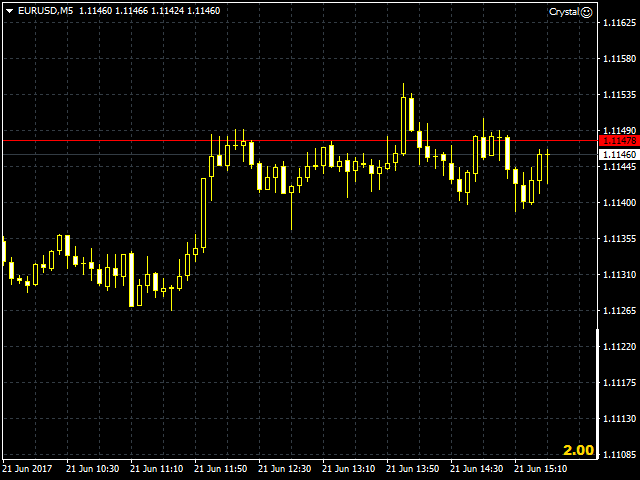 Settings (S hot key) - general trading settings. 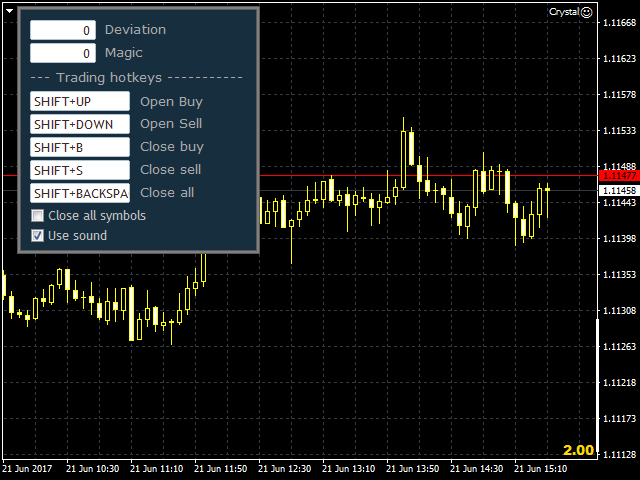 Here you can set the hot keys for opening, closing positions by type or all. Important! If the "All Symbols" item is checked, then closing positions using the hot keys will close positions of the selected type on all symbols. Info (I hot key) - information window. Important! The data on positions and profit are displayed only for the current symbol, or for all symbols if the "All Symbols" item is checked in the "Settings" dialog box. Attention! 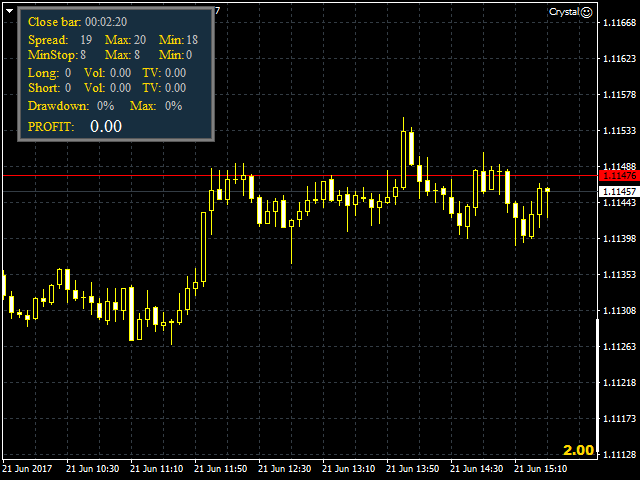 The demo version allows working only with BUY positions.